« Great Barrier Reef – World Hertitage in Danger? Prior to cyclone Yasi, local frogs appeared to be making a small comeback. 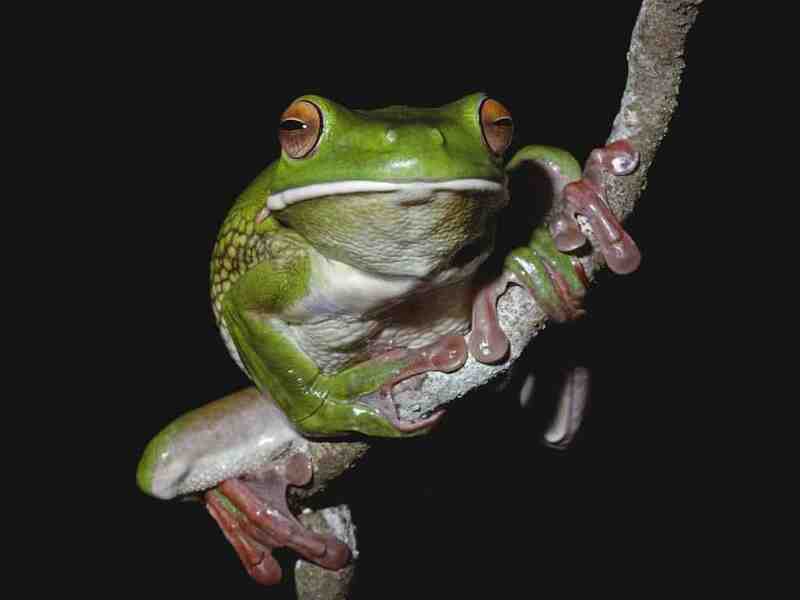 It was the first time in 13 years that numbers actually improved a little, particularly for the Graceful tree frog. However, Yasi did something to “biologically clear-fell” the place and even toads disappeared from my area for a long while. It has now been more than two years since Yasi and frog decline appears to have speeded up! For the first year after the cyclone, we saw a lot of protozoal problems in the frogs but that problem has certainly settled down. Something else is happening – there is definitely a “ghost in the machine” and my first suspicion is chemicals. In particular, neonicotinoid chemicals! It’s a tongue-twister of a name but you’ve heard of these before – they have been implicated in bee die-offs and have just been banned for two years by the EU. Did you know that there are dozens of products that have been registered for use in Australia that are neonic-based, such as Yates Confidor, Advantix and Advocate for use on cats/dogs, and MorteinNaturgard? You will probably find neonics in the vast majority of products that kill insects such as fleas and roaches, but it is also used in gardening as a systemic pesticide. Used only once to treat seeds or lawns, neonics remain in the soil for over three years. All systemic chemicals are worthy of suspicion when it comes to any kind of wildlife decline or immune issues. Systemics are carried right through the plant to its pollen, nectar and fruit. When you look at the range of animals that depend on these, the list is huge and the sub-clinical effects of these chemicals can be far reaching. 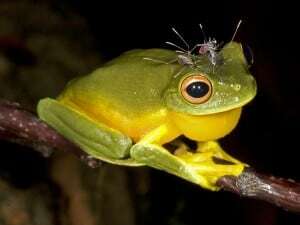 For example, why have flying-foxes suddenly started to pick up and shed viruses? Could it be that their immune systems have been compromised by systemic chemicals? Toxicology would prove how bad the chemical contamination is and what is in decline because of it, but somebody has to pay for that work and government certainly does NOT want to foot that bill. There’s another reason why the neonics are to be avoided at all costs. They are making it all the way out to the Reef. I spoke to a toxicologist who has been involved in water quality surveys state-wide and one neonic in particular showed up in every water test result along the length of the Barrier Reef. It’s called Imidacloprid. He also said that in the last five years, cane farmers have replaced using Suscon Blue with Imidacloprid. Now since it is well known and labelled that neonicotinoids are “severe marine pollutants”, this product is clearly unsuitable for use in any agricultural application where flooding or runoff occurs! This looks to me like a disaster in the making and we can’t afford to wait for somebody to cough up the money for proper toxicology. Neonics need to become a household name and everybody needs to stop using them. There are two in particular which are used in Australia so check the active ingredients for any product with the names Imidacoprid and Clothianidin. Don’t use these products where there is a risk of environmental contamination! FrogSafe wants to launch a campaign against these chemicals and also the very process by which the Australian government assesses and approves chemicals. But we will need lots of volunteers to assist with this campaign and our other work. If you are interested, please let us know! Email admin@frogsafe.org.au or visit www.frogsafe.org.au.